Happy 15th Edition of Sepia Saturday my dear friends! Please welcome and say hello to the ever-so-happy Fin the Doodle! Visit Fin and his Sapien via Twitter & Instagram! Well done to Finn. What a handsome pup. Have a super Saturday. That is one funny photo! Looks like a Minnesota dog! Hi finn. Congrasts on your win. 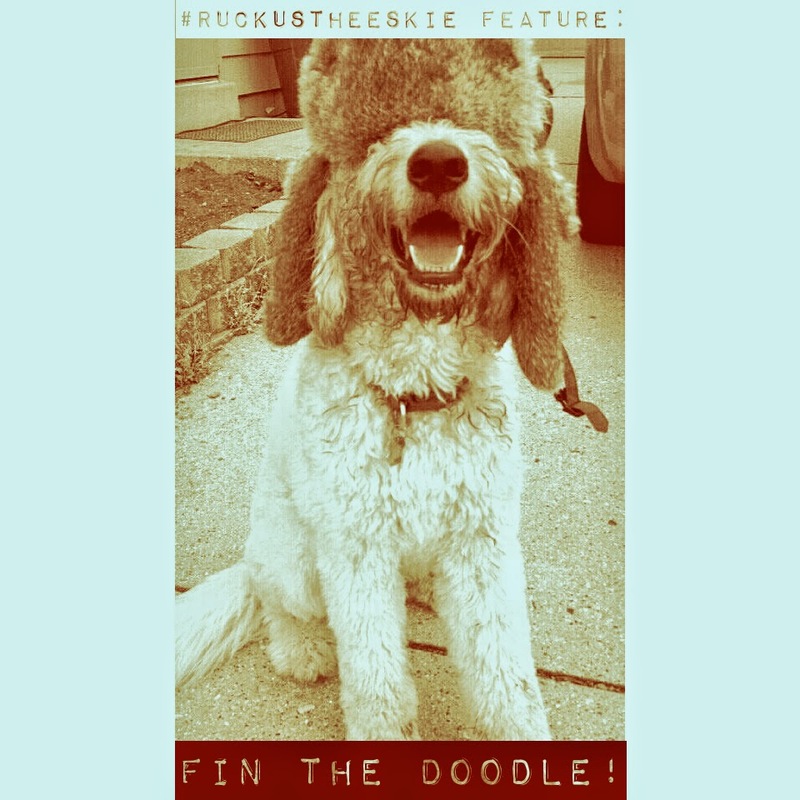 Hello to Fin the Doodle. And good sepia morning to you, Ruckus. Oh Finn is so cute. How much clipped grass can he hide in his coat to bring inside to keep the humans busy? Concats to your winner. Happy Sepia Saturday. Congrats to Fin, he looks like one crazy, fun-loving dog!